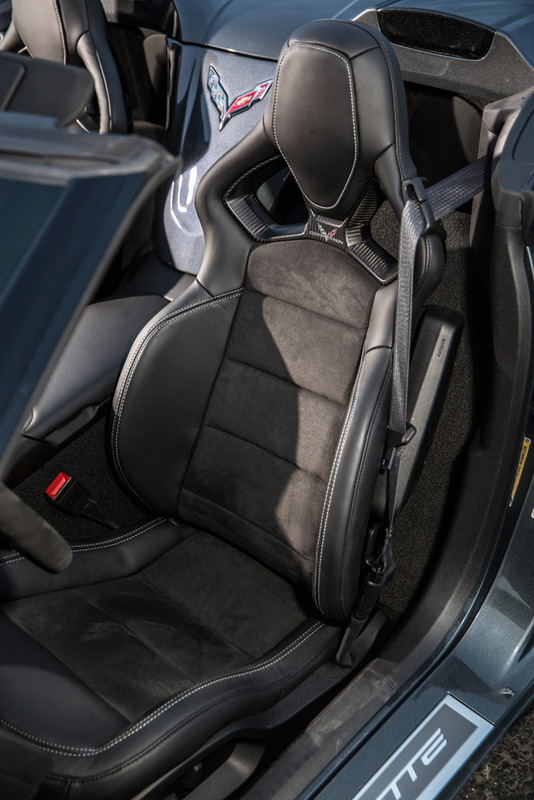 When development of the C7 began, GM had a situation that was discussed openly, widely and loudly: The Corvette interior had big time problems. 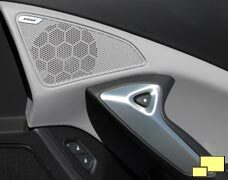 The seats were derided as "Barcaloungers", fine for a Buick but unacceptable in a performance car. 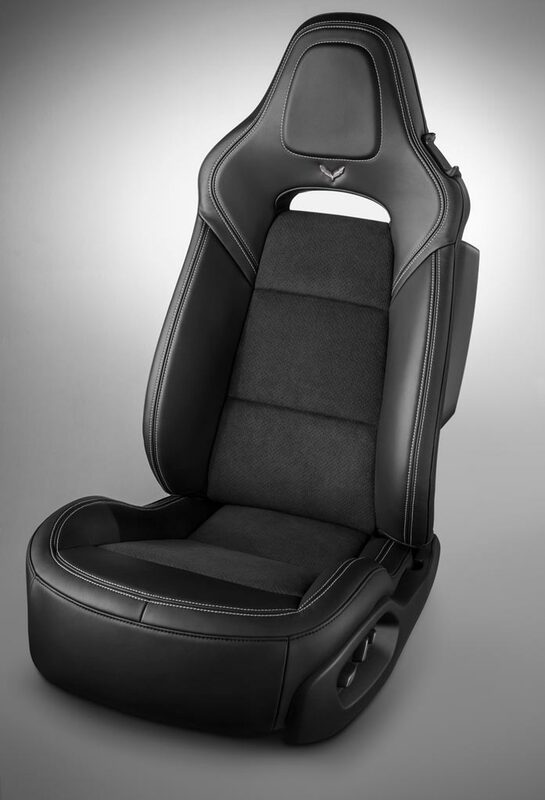 Keeping the driver firmly in place when driving at the high limits of a Corvette is important and the C5 / C6 seats were just not up to the job. The balance of the interior was also often beaten up. Critics felt that the materials were less than the competition and what buyers should expect at the Corvettes price point and that the design was sort of well, blah. Whatever sins may have been committed by the C5 / C6 interior, they were forgotten when the inside of the 2014 Corvette was revealed. The C7 interior features some interesting angles and curves and clearly is driver oriented. 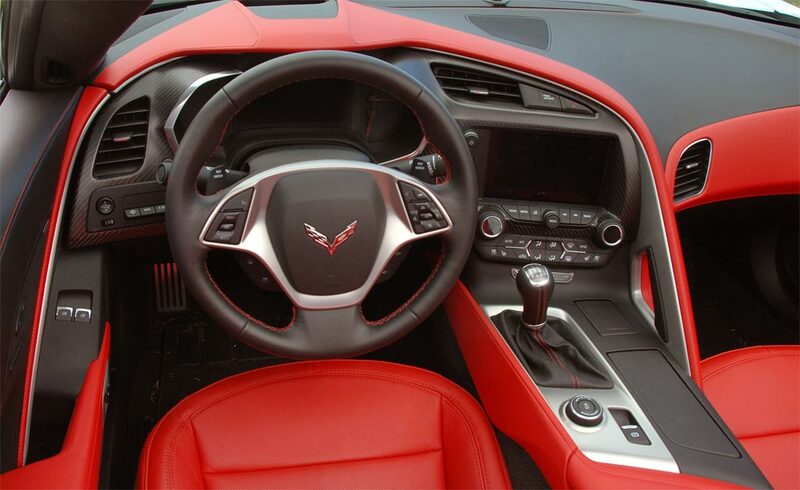 One thing for sure, it is not subtle and not being subtle has always been a Corvette tradition. One area of improvement is in the choice of materials. 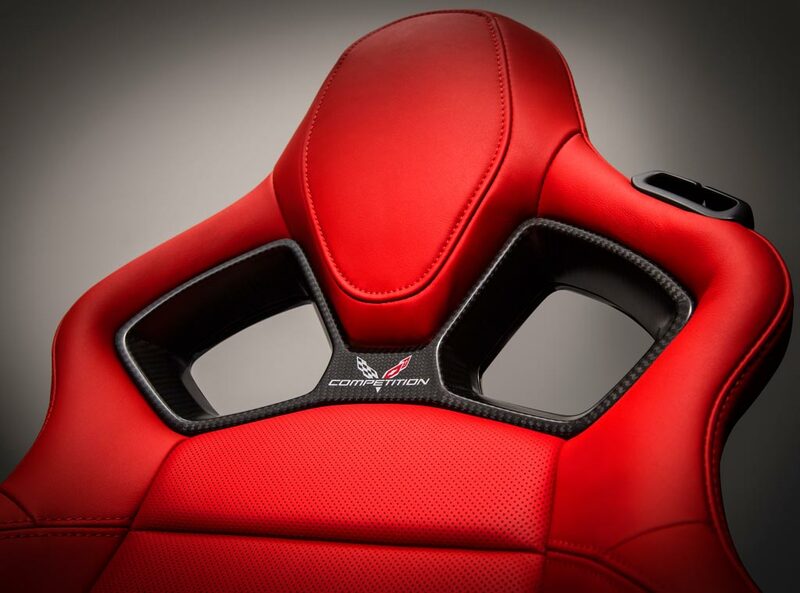 Where occupants formerly stared at molded plastic and worse, in the C7 they will, depending on the options level, be treated to aluminum trim, carbon fiber and leather. 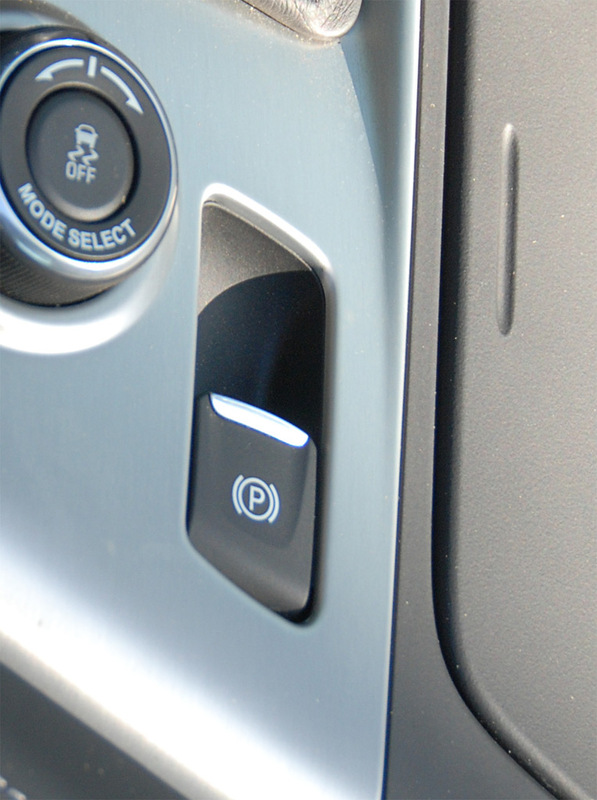 Two 8 inch display screens are supplied, one directly centered in front of the driver and the other (featuring touch controls) to the right where nav systems are typically located. The screens promise some interesting configuration choices, with race track functions getting serious consideration. A HUD (heads up display), a popular option on previous generation Corvettes, would also be available on the C7. 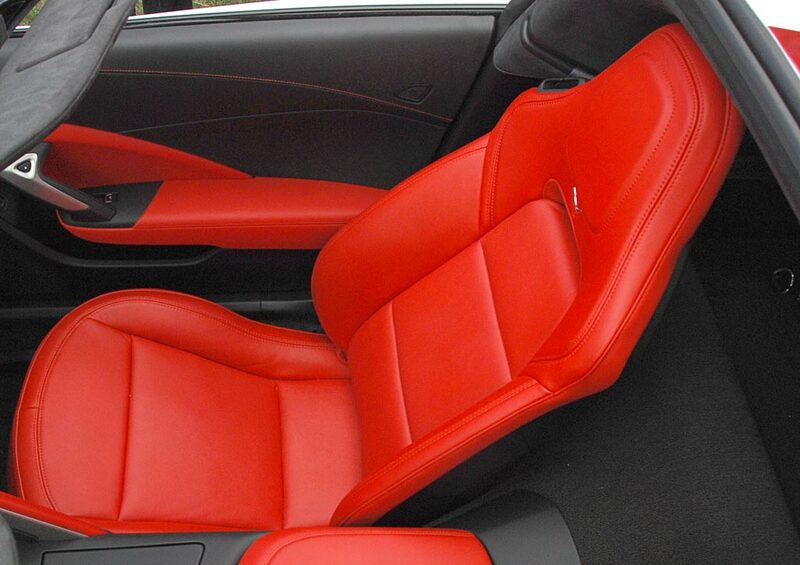 Interior color choices include, Gray, Adrenaline Red, Jet Black*, Kalahari* and Brownstone*. 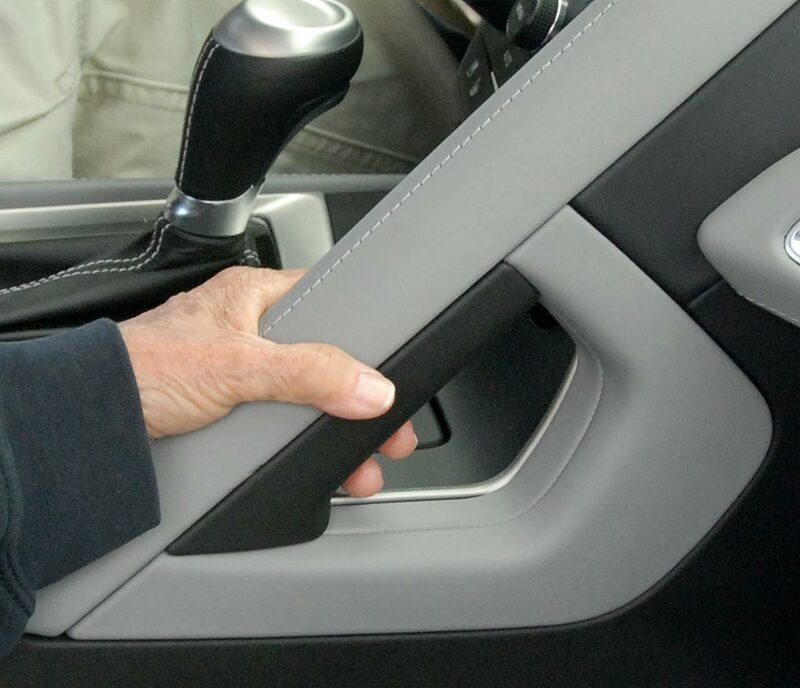 A grab bar for the passenger first made its Corvette appearance in 1958 in a horizontal format above the glovebox and continued thru the C2 generation to 1967. It skipped the C3 and C4 generation only to reappear for the C5. 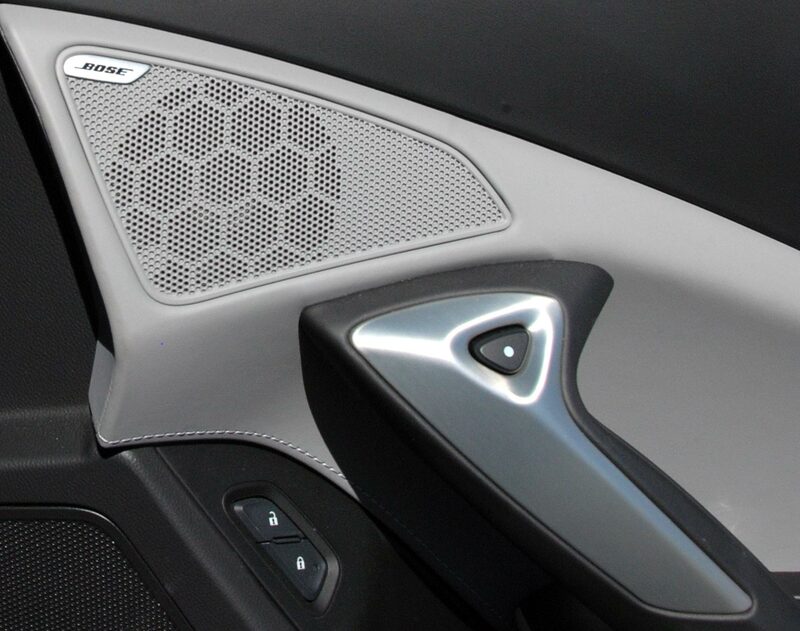 The concept then took a generation off for the C6 but appeared again in the C7 in 2014, this time in a vertical configuration and mounted on the center console. Considering the performance available, its use can be assumed to be frequent and welcome. 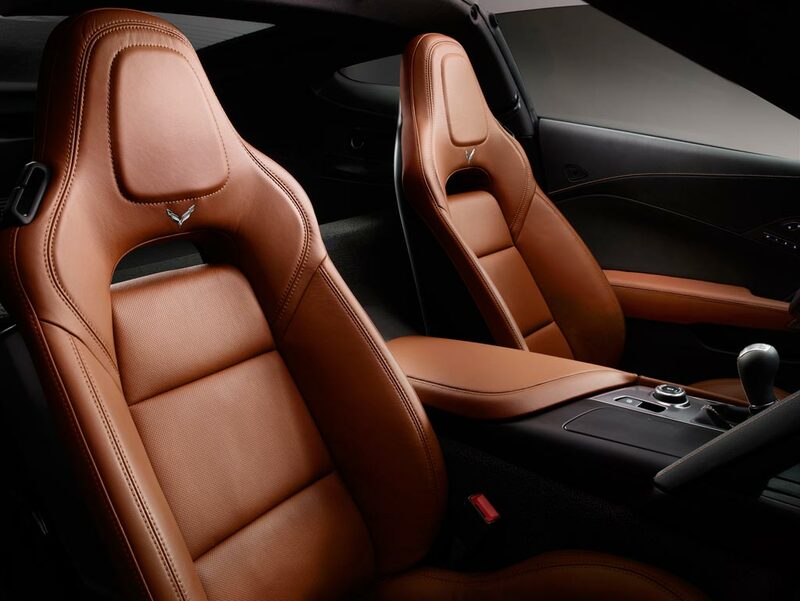 Interior details saw giant step increases in design and quality with the C7 Corvette. 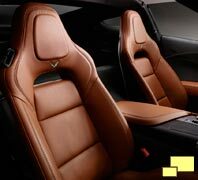 Occupants became aware that they are sitting in a high performance sports car instead of a well appointed pickup truck. 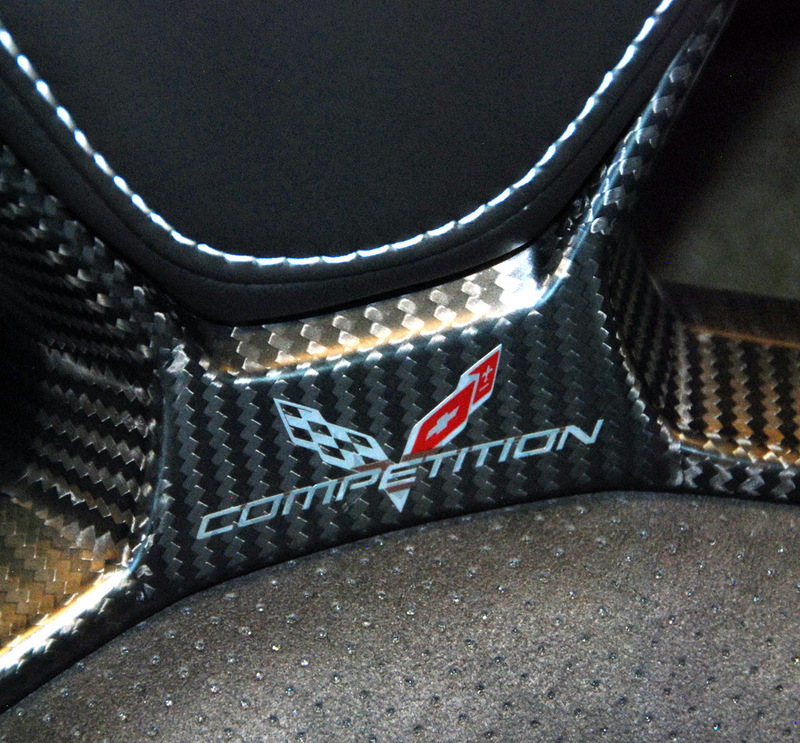 Aluminum, quality leather, carbon fiber and well placed stitching are intelligently arranged and well thought out. One flaw: some of the parts could fit better, resulting in that dreaded interior disease, gaposis. This was seen in early production samples so don't be surprised if the problem is resolved as production matures. 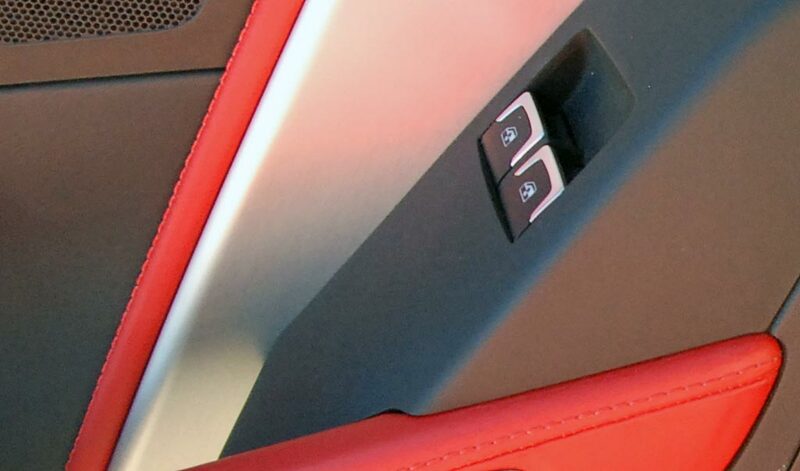 Also on the long list of changes is an electric parking brake located on the console just south of the shifter and next to the mode select switch. 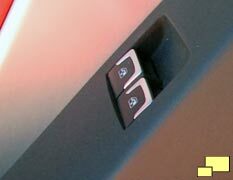 It replaced the conventional mechanical - cable system on the C6 and freed up a lot of room in a critical area of the interior. Corvette has had a long history of carbon fiber usage, starting with the hood in the 2004 Z06 Commemorative Edition, at the time the first use of the exotic material for a painted exterior panel on a car built in North America and was an experiment of sorts for GM. 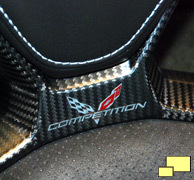 Carbon fiber saw further usage in the fenders of the Z06 starting in 2006 and the roof of the ZR1 in 2009. 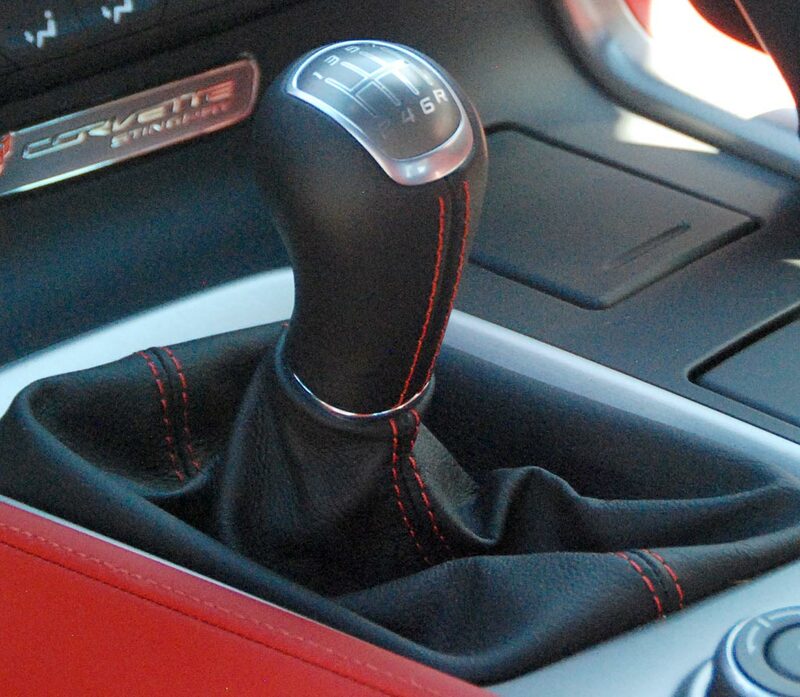 The practice continued to the interior for 2014 and has made the C7 more than a great driving experience; it is also an exciting car to occupy. 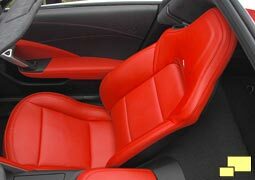 Above: The standard GT bucket seats are a giant leap improvement over what was available in the C6 Corvette. They provide excellent comfort for people of all sizes and do a good job of keeping the driver firmly situated in competition driving situations. 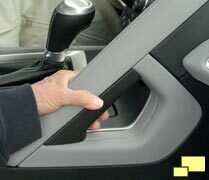 They are also easy on entry and egress, an area where performance oriented seats often have problems. Below: The competition seat (RPO AE4; $1995.00, $2,495 with suede inserts) with pass thru for a five point racing harness is a winner. 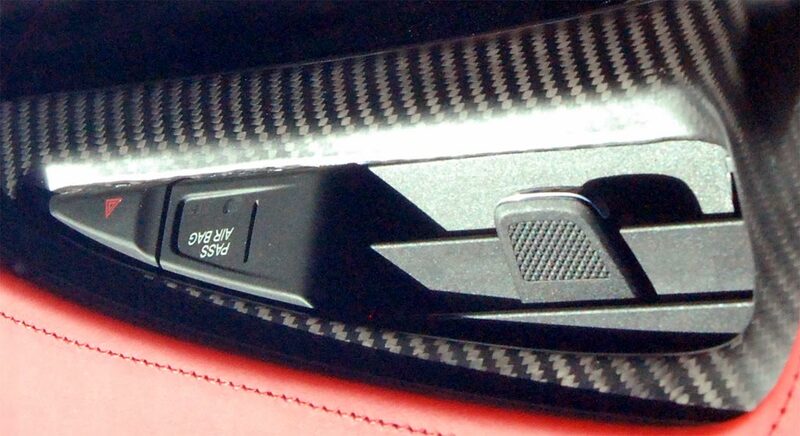 Note the detail of the carbon fiber trim (far right). 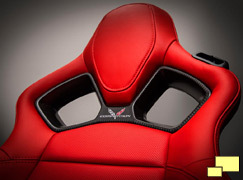 The seat is the equal of the best the aftermarket offers and entry / egress is not difficult, a common performance seat problem.